It isn’t just The Hobbit and The Lord of the Rings. No science fiction or fantasy saga is complete without a wise old bearded God-like figure often played by a theatrical knight who occasionally fights, usually dies but like E.T himself (or the MP John Stonehouse) comes back later. First appeared: 1937 (in print in The Hobbit), 2001 (on screen). Does he die? Yes. Gandalf the Grey falls down the crack thanks to the big fiery Balrog thing in The Fellowship of the Ring. Does he come back? Yes. 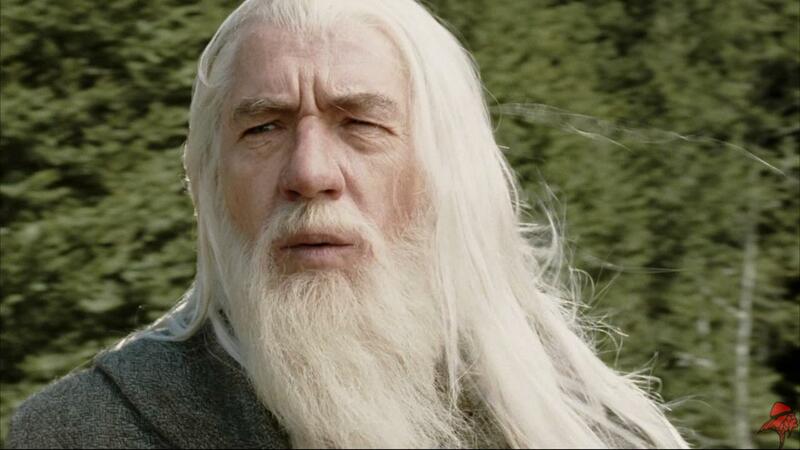 As Gandalf the White in The Two Towers. Fun to play? McKellen seems to have enjoyed it and apart from the “insane laughter” scene in Frodo’s bedroom in the third film has done a great job of it. Is he Jesus/God? : No. JRR Tolkien was keen to emphasise the books were not supposed to be allegorical. Does he die? Yes. Darth Vader turns him into a dressing gown towards the end of the first (or fourth) film. Does he come back? Only as a badly animated and well paid ghost. Bet Marlon Brando wished he’d thought of that for the Superman sequels? Although he’d have been too fat anyway. Who played him? SIR Alec Guinness and Ewan McGregor as the younger sometimes unbearded Obi Wan in the inferior prequels. Fun to play? Not at all. “…new rubbish dialogue reaches me every day on wadges of pink paper – and none of it makes my character clear or even bearable,” Guinness complained. He also resented being nicknamed “Mother Superior” by a young Harrison Ford. Understandably. Sir Alec made a small fortune, however, having claimed a 2 ½ % share of the profits on the three films although thanks to the exorbitant tax rates in the 1970s, not as much as is commonly thought. MacGregor’s complaints about filming against blue screen, meanwhile, were amongst the first bits of negative publicity to break around The Phantom Menace in 1999. Is he Jesus/God? : Perhaps. But then, a similar case could be made for Han Solo. And Harrison Ford was a carpenter. See? It all makes sense. First appeared: (in print) 1997 Harry Potter and the Philosopher’s Stone and on screen in the 2001 film. In the US this was called Harry Potter Can’t Believe Americans Don’t Know What A Philosopher Is and Apparently Think A Sorcerer is Basically the Same Thing. Does he die? Yes. Snape (Alan Rickman) chucks him off Hogwarts at the end of the penultimate volume The Half Blood Prince. In the film, his death is reminiscent of Alan Rickman’s own character’s death in Die Hard. Except Bruce Willis wasn’t involved. Does he come back? Only in a dream sequence. Who played him? Richard Harris until his death after the second film. Succeeded by SIR Michael Gambon thereafter. Fun to play? Ignoring the fact the Irish Harris didn’t actually have an Irish accent when playing Dumbledore (who isn’t, as far as we know, supposed to be Irish), the usually excellent Gambon for some reason initially put on a somewhat half arsed Irish accent when he took on the role. Happily, this soon went and he was great from then on. Is he God/Jesus? : Probably not, although like Jesus he is gay. JOKE. No, in reality, Dumbledore was not really gay. Aslan in the Narnia books: He does die, come back, is wise, bigoted, bearded and is very clearly supposed to be God. He is not a man though. HE IS A LION. Jaga (from Thundercats): Wise counsel to feline Skywalker-type Lion-o, Jaga dispenses important nuggets of wisdom such as encouraging him to enter his litter tray regularly but dies en route from the Thundercats’ home planet of Thundera to Third Earth. He does come back as a ghost though and fits the bill very well. However, he is rather transparently (literally) “heavily influenced” by the character of Obi Wan Kenobi. Unlike everyone else Jaga isn’t feline at all. This isn’t explained. His Dark Materials: A big fantasy saga, yes but with NO bearded wise God-like grandfather figure. Perhaps reflecting the atheistic nature of the plot. Optimus Prime: A robot, yes. But he was wise and dies (in 1986’s Transformers The Movie) and later comes back. He may die in the new films too. Who knows? I was asleep. Written during the gloomy days of the early Thatcher era, Chris Mullin’s A Very British Coup has since inspired two Channel 4 dramas series: a 1988 series adapted by Alan Plater and the current The Secret State starring Gabriel Byrne.. The second of these has so far has shown only a slight resemblance to Chris Mullin’s novel. But thirty years after it was first published, A Very British Coup remains one of the finest political novels ever written. The story is set in what was then the future: the year 1989. The General Election has ended with an amazing shock result: the Labour Party led by former Sheffield steelworker Harry Perkins has been swept to power in an unexpected popular landslide. The result is a clear mandate for a truly radical agenda which proposes “consideration to be given” to withdrawal from NATO, an end to the nuclear deterrent and to UK membership of the then Common Market, abolition of the House of Lords, an end to public schools and much more. Little wonder the establishment react with alarm. The story of A Very British Coup is essentially of how the security services (with US help), the media and civil service all conspire to thwart the new government’s agenda and ultimately subvert democracy. Some might scoff at the premise. 1989 after all, turned out to be the high watermark of Thatcherism in reality. And how likely is it that the Tories and SDP would form an alliance or that Labour would beat them with a manifesto which makes Labour’s real “longest suicide note in history” from 1983 look mild in comparison? In fact, it’s not so far-fetched. Since 2010, we have been living under something very close to a Tory-SDP “Government of National Unity”. Labour also won an unexpected landslide on a very socialist agenda in the “khaki” election of 1945 and again, won unexpectedly (though much more narrowly) on a hard left manifesto in 1974. There are also similarities between Harry Perkins and Harold Wilson, another Yorkshire-born Labour Prime Minister who resigned very unexpectedly in 1976. Even their names are similar. Wilson often talked of MI5 plots against him and it is easy to dismiss his talk now as an early manifestation of the Alzheimer’s disease which would blight his old age. Such talk should only go so far though. The book is a novel. Chris Mullin, later a Labour MP and now an acclaimed political diarist would not actually have expected events to turn out exactly as he wrote them, any more than George Orwell would have expected the horrors of his vision of 1984 to be fully realised. Harry Perkins is not Harold Wilson: he is far more left-wing than Wilson ever was. Mullin’s vision of the pernicious effects of Thatcherism in the Eighties is highly prescient. He may not have anticipated the peaceful end of the Cold War (virtually nobody did in 1981) but nor did he predict a Labour election landslide for Michael Foot or a limited nuclear war started by President Ted Kennedy as Alan Moore and David Lloyd’s V for Vendetta which also appeared in 1982 did. Perhaps more by coincidence, Mullin did foresee a Labour Foreign Secretary being revealed to have had an extramarital affair soon after a landslide election win. This is exactly what happened to the late Robin Cook in 1997 although he didn’t resign and the affair thankfully ended more happily than it does for the fictional Tom Newsome. On the other hand, Mullin was somewhat off in predicting the age of King Charles III and Queen Diana would have begun by 1989. 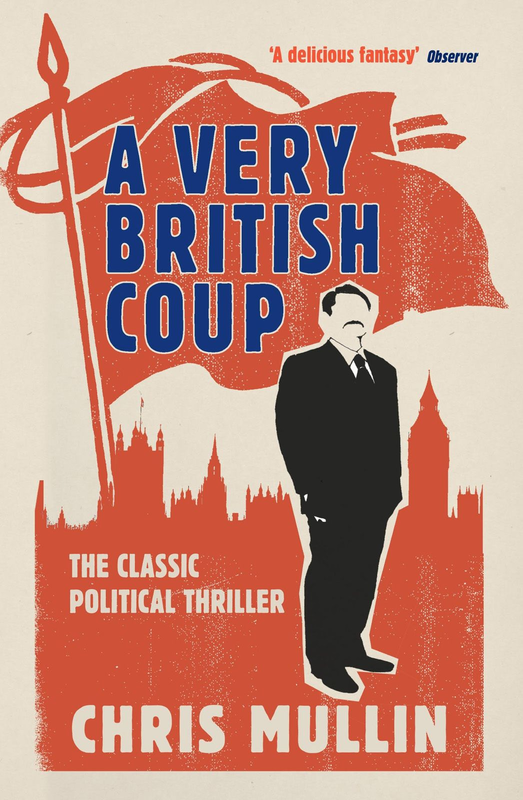 My copy of A Very British Coup features the quote “A delicious fantasy” by The Observer on the cover. I’m not so sure. It’s certainly delicious but it clearly isn’t entirely rooted in fantasy. Remember, the first ever Labour Government was brought down at least in part by the faked “Zinoviev Letter” distributed by MI5 in 1924. Think about how ungracious the response to Obama’s re-election has been amongst some on the US Right (such as Donald Trump). Or how the UK establishment might react to an unexpected Ed Miliband win in 2015. No wonder A Very British Coup also features a villain called Peregrine. In the end it wasn’t even that close. 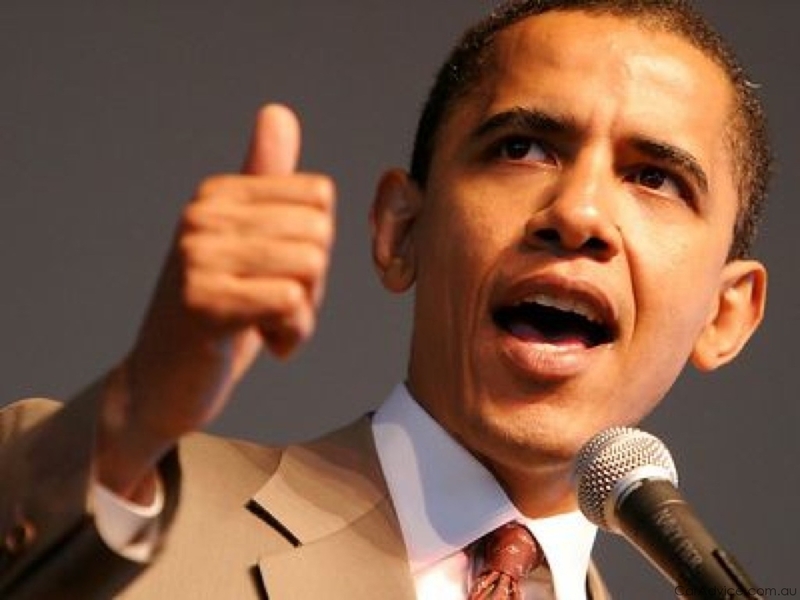 Barack Obama seems set to become the first candidate since Ronald Reagan to twice win over 50% of the vote. It’s not all glorious though. He’s also the first president since Franklin D Roosevelt in 1944, to be re-elected with less support than he won the previous time. Obama’s win is also the second narrowest US presidential re-election ever, beaten only by the narrowness of the win by the disastrous President Bush over Senator John Kerry in 2004. But this is still a lot better than losing. Although Obama’s first term has been slightly disappointing in some ways, his presidency still feels unfinished. This wasn’t his time to go. And make no mistake: a Mitt Romney presidency would have been a disaster. Obama should be wary though. Second terms are often harder than the first. Bush’s was even more terrible than his first four years. Clinton was besieged by the Lewinsky scandal after re-election. Reagan and Nixon fell foul to Iran-Contra and Watergate. But let’s not worry about that now. Congratulations to President Obama. The world can now breathe a collective sigh of relief. In March when I began this blog, I based my first entry on one prediction: President Barack Obama would be re-elected as president this year. Despite everything, that still seems to be the most likely outcome of this week’s election. The fact that it has proven such a close content against Governor Mitt Romney, a man who would not normally get anywhere near to winning the White House is hardly to the president’s credit. For the Obama Administration been slightly disappointing in some areas. The economy has not recovered fully from the mess the disastrous Bush team left it in. Perhaps no administration could have achieved a full recovery in one term. Even FDR’s New Deal didn’t end the Great Depression immediately: that took World War II. Obama has certainly behaved responsibly and put the US on the road to recovery but his failure to achieve this has undeniably been the key factor undermining his popularity. Liberals may also be disappointed by his failure to close the camp at Guantanamo Bay. Surprisingly, Obama, a great orator during the 2008 campaign has also been poor at conveying his message to the general public. On the other hand, he has enjoyed real successes: healthcare reform was a key tenet of his 2008 campaign: he has now achieved it. Bin Laden has been killed. The war in Iraq has ended. The car industry has been saved. In recent days, Obama has also demonstrated his cool head in a crisis. The aftermath of Superstorm Sandy has seen “no drama” Obama at his best. A man who believes the federal government should not have been involved in the Hurricane Sandy relief effort, believing private donations would have been more ideological sound. A man who flip flops: Governor Romney supported gay marriage in the 1990s and now opposes it, keen as he is to curry favour with Tea Party extremists. Worse, Governor Mitt Romney doesn’t seem to understand public service. His supporters see his business credentials as his chief asset. In fact, they might be his Achilles Heel. Unlike Obama, Romney doesn’t understand he should be aiming to represent ALL Americans, not just those who can make a fast buck. In this sense, Obama is both the better American and the better candidate. Americans should not let their disappointment with Obama or the economic situation lead them to a choose a wholly unsuitable candidate to replace him.